I can count on one hand (and not even using the thumb) the number of times this month that I haven’t used slightly amazing Dior 5 Colour Eyeshadow in 734 Grege ($61 CDN) and I can honestly say that I loved the results of this versatile palette each time, as shocking as that might be to hear from someone who easily feels a bit ‘meh’ from sticking to the same makeup routine for too long. I’m sure some of you are not surprised that I included this as it’s been consistently mentioned in my posts within the last month but the love I have for this has far exceeded what I can generally convey. I think that it’s easy to neglect these seemingly less economical and less exciting smaller palettes when larger palettes are consistently released but this quint is one of those smaller palettes that houses the essentials without forgoing interesting shades. 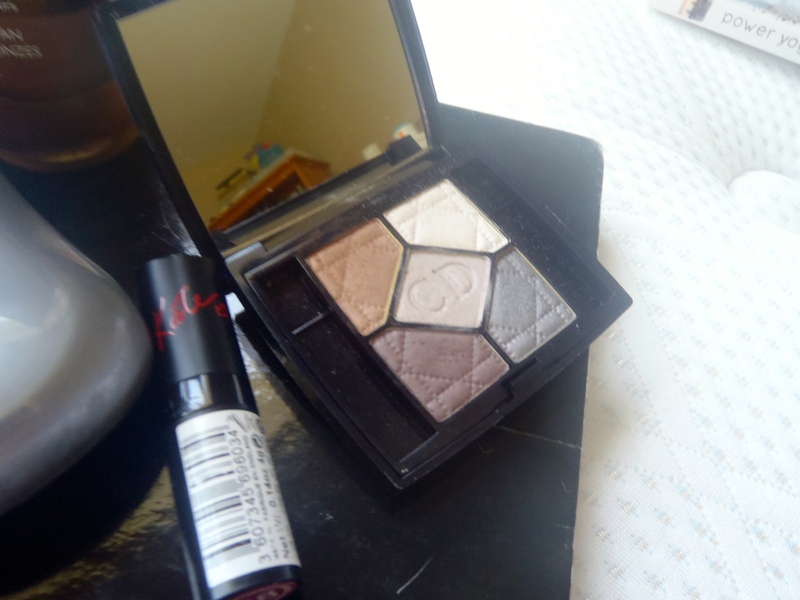 As I’ve come to expect from Dior, the shades are the longest wearing on me with equally-as-fantastic pigmentation and zero fallout but this quint in particular features an excellent edited selection of varying finishes and depths – because of this versatility I deem this particular palette to be splurge-worthy. The matte chocolate brown is a great option to be used as liner as well as in the outer corner, the satiny warm caramel shade is ideal for blending through the crease on me, the shimmery ivory is great for lightening and brightening the inner portion of the lid, the sheeny grey shade is a nice one to apply more precisely through the crease to add smokiness and the pale taupe sheeny shade is a gorgeous-but-basic lid shade. Together these shades create a variety of different “looks” – I hate that word but anyways – and they’re also helpful to have to pair with other shadows. When I wasn’t wearing the above lipstick, there was about a 90% chance that I was sporting the rose-hued Rimmel Kate Moss Lasting Finish Lipstick in 08 ($7-8 CDN) that with its brown undertones, gives that my-lips-but-better slightly deeper effect with a longwearing and hydrating formula to boot. I dedicated an entire post (here) to my newfound love of this lipstick that I rejected in the past for its overt brown hue. For me, the secret to pulling off this gorgeous everyday shade is to apply it with a lip brush for less intense colour payoff – and I wore it this way often. I’m not ready to say that its superior to the ashy MAC Coquette eyeshadow for filling in my brows but I figured that I owed the L’Oreal Superliner Brow Artist in Blonde ($12 CDN) a mention considering that it’s a drugstore offering that actually does not look warm or red in my cool-toned brows and that it’s the easiest thing to use ever (only complaint is sharpening) and comes with both a wax to seal in the hairs and a handy little comb. All I have to say is that I really don’t think this shade would be ideal for blondes as I’m a medium brunette and this isn’t even particularly all that light. Did I mention that with this my brows stay put like a champ? 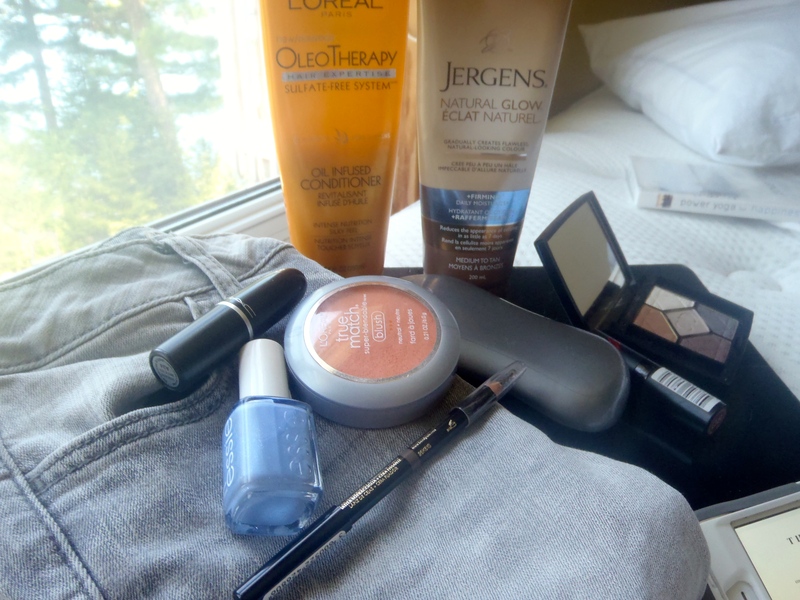 It appears that I’ve been enjoying L’Oreal products quite a bit this month which is kind of shocking as I hadn’t really noticed. Easily my most frequently worn blush was the L’Oreal True Match Blush in Innocent Flush ($13-16 CDN) a pigmented and finely milled peachy-coral with a golden sheen running throughout. It’s definitely not the most unique colour in the world, instead just another one of the many corals with golden sheen running throughout but these kinds of shades suit me and scream warm-weather-appropriate so I’m not one to complain about the lack of innovation. The final L’Oreal product to grace this post is the Oleo-Therapy Oil Infused Conditioner ($9 CDN), I swear. I’ve been using this conditioner for a few months but this month was when I realized how great this product really was. On my dry curly hair this conditioner deeply nourished my strands, doing what it claimed, without any silicones (that I can see) and a high concentration of oils that remain lightweight. It’s rare that I find affordable conditioners to be as nourishing as this one and it also detangles nicely and smells luxurious to boot! With the whole having curlier hair situation, the last thing I would expect to love would be a brush, considering that fingers are supposed to be adequate to detangle and all that but I have to say that I adore the Tangle-Teaser-copycat, namely the Goody Tangle Fix that I can’t recall the price of because I received it as a gift. I’m naughty and have been using it in the shower to detangle my hair prior to rinsing my conditioner out with this and I have to say its the most effective detangler that I’ve ever tried and I don’t even know anyone who experiences more tangles than me. After embracing my paleness for years following my first foray into the gradual tanners, I’ve gotten to really appreciate the basic-but-noteworthy – to the point that I have completely ran out of my first tube of the Jergen’s Natural Glow Firming Daily Moisturizer in Medium to Tan ($9 CDN) and have happily moved onto my second. I’m skeptical of the whole firming situation (and considering my age I can’t really comment to be honest) but this one is great because it’s intensely moisturizing and non-irritating as a moisturizer on my irritated eczema-laden skin, goes on evenly (with a few slight patches) without needing to exfoliate (my body cannot tolerate any sort of scrubbing action so self-tanner is generally out of the cards) and it doesn’t burn or irritate my skin despite its fragrance. I noticed that in the ingredients list, there’s no synthetic fragrance listed but rather caramel is included instead and I can assume that this is what gives it its authentic nice scent that my ulta-sensitive skin actually agrees with. The darker shade actually does suit my skin nicely, looking like an authentic tan on my warm-toned-but-not-golden skin with yellow undertones. I haven’t been particularly obsessive about painting my nails this month but when I have made the effort, I’ve been consistently going for the pale cornflower Essie Bikini So-Teeny ($9 CDN) and haven’t regretted it once. It’s a gorgeous pastel hue and the formula lasts on my nails five days without major signs of wear so obviously it checks all the boxes. It’s not the most opaque formula (not shocking considering that it’s a pastel hue) but it doesn’t streak and goes opaque in two coats and therefore is impressive in my view. I might just begin to have an actual emotional outburst if you recall my ramble on a few weeks back about rekindling my interest in style and I’m not one to display human qualities of the emotional kind. This interest has remained but a post hasn’t been in the works as of yet and style-wise, I’ve been obsessed with the comfortable and flattering, American Eagle High-Waisted Jeggings that I picked up towards the beginning of the month for mere third of the full retail price — $20 instead of $60 — in the pale grey shade. I’m a big fan of the store in general for the ease of shopping, the fit and general aesthetic of their clothes but I have to admit that this pair was something special – the regular length running a bit longer than usual so I didn’t have to order online to suit my strangely lanky legs, the slightly higher-waist sitting at the perfect height to flatter my not-so-tiny waist, the lightweight denim remaining comfortable even in the warmer weather. 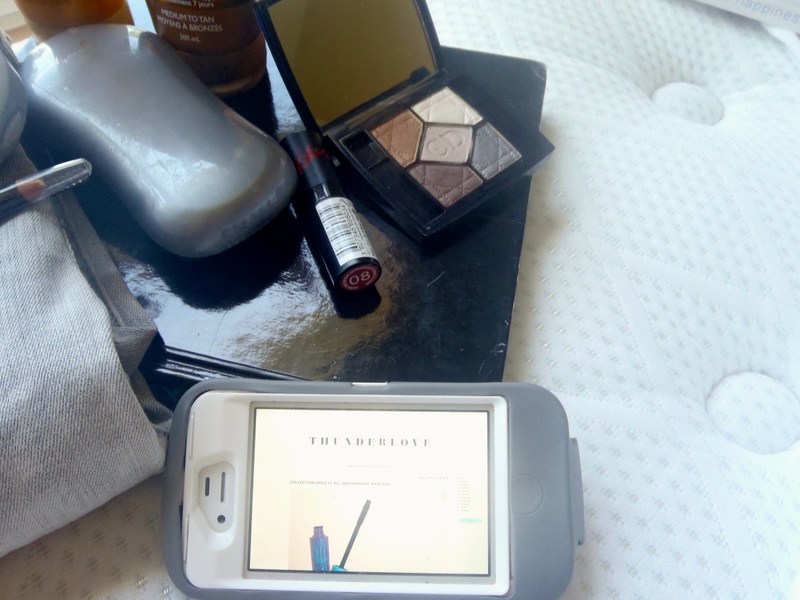 This month, I’ve really fallen in love with Natalie’s blog, Thunderlove. I’ve mentioned her blog a few good times this month and when she commented on one of my posts where I linked her, I had a sort of fangirl moment – and I don’t have these easily. Both in videos and posts, she has an authentic and laid-back manner and also gives fantastic reviews, so obviously she’s golden. At this point, she may fear that I’m stalking her but I promise that I’m not – I just kind found myself routinely scouring through her archives with no shame. What have your standout products been this month?